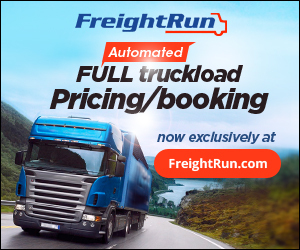 FreightRun has just added a great new feature that we hope will make your life easier: Automated Full Truckload Pricing! Do you have an FTL Shipment? For an INSTANT QUOTE simply click on the FTL tab of our FREIGHT CALCULATOR. We are committed to elevating the FreightRun experience for you at every opportunity - to make your life easier by making your shipping experience smoother and more predictable.